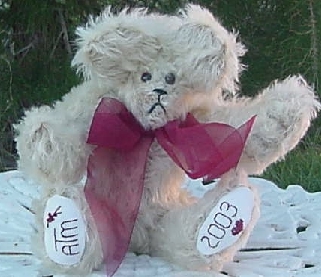 Personalized, handmade, originally designed bears for your college graduate. The 10 1/2" bear is $35. Order the golden mohair University Bear for that special graduate...can be hand-embroidered with graduation date and the name of the university. The bear is 10 1/2" tall and is $35. 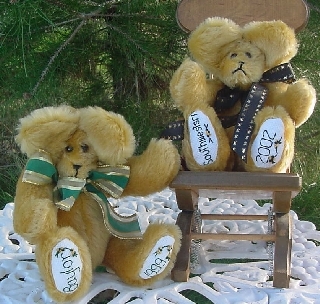 Jester Bears: Jesters come in all sizes for the collector of unusual bears!